This writing workshop hop is for anyone interested in writing fiction, veteran or first-timer! Write about a possession that holds special meaning for you. The objective of this prompt is to encourage you to use descriptive details in your writing; the reader needs to be able to visualize this object. But you also must write about why this possession is so important to you. Which will force you to expand your writing beyond the descriptive, into the emotional connection. So in writing about this object, you may wind up writing about a particular moment related to the object. Even a full scene. If you don’t have an actual object dear to you, well, then just make it up! Make up something about that chipped old mug you’ve had on your kitchen shelf for ten years! Remember too: You do not have to follow a prompt to link up. Your post just must be a fictional moment or scene. It could be taken from a longer work in progress. 1). Not too long but not too short – try for a scene or fully developed moment. 2). Critique at least four other posts – comment first on what works, then how it might be reworked. 3). Reciprocate by critiquing those bloggers who do comment. 5). Grab it from my sidebar to remember to come back and post! 10 Responses to Sandra’s Writing Workshop Hop! Hi Sandra – I attempted to write fiction for almost the first time and would love your feedback. Thanks. Your workshop sounds quite interesting. I really like the whole aspect of every participant getting constructive critiques of their writing. I’d link up something but have to write it first. How long is this hop open? 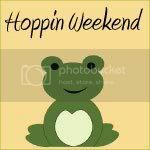 Is it a weekly hop, or does it last longer? I’d be happy to add the button to my page of blog hops. Thank you. I need to rewrite mine from last one and re-post it here. Hopefully I would make it on time. Oh oh, I just posted an entry on my blog but I see you’ve closed the link. Can I still get it in here? Sorry to be so late. I am finishing up mine. Can you reopen it for one more night?